A son of aviation legend Marcel Dassault, Serge Dassault forged a name outside his father’s shadow as a fierce guardian of the family businesses and an outspoken conservative politician and former senator. 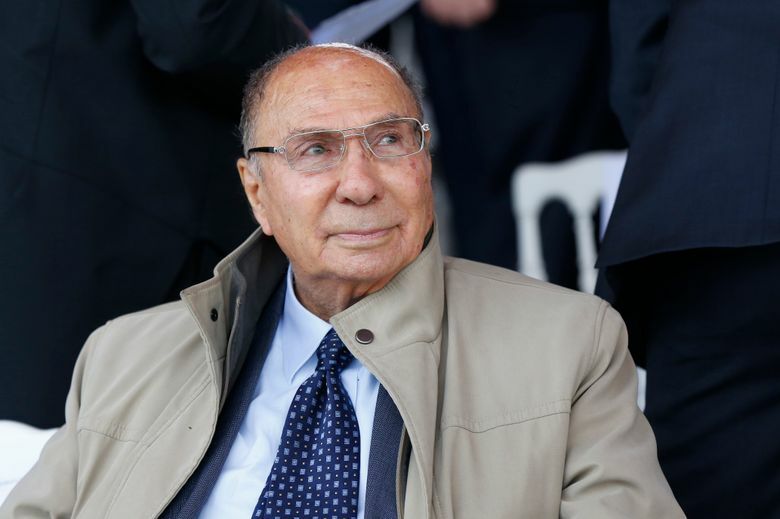 Serge Dassault, the billionaire businessman and politician who inherited an aviation empire from his World War I aircraft-designer father, has died. He was 93. He succumbed Monday to heart failure in his company office just off the Avenue des Champs-Élysées, said a spokeswoman for Groupe Industriel Marcel Dassault. He was chairman. One of two sons born to aviation legend Marcel Dassault and his wife, Madeleine Minckes, Serge forged a name as a fierce guardian of the family’s businesses and an outspoken conservative politician. Though Dassault expanded the family’s business interests into real estate, auction houses and media, he had to contend with critical comparisons to his powerful father. Marcel founded the family’s main company, Paris-based aircraft manufacturer Dassault Aviation, maker of the Rafale military plane and the Falcon corporate jet. “France has lost a man who dedicated his life to developing a jewel of French industry,” President Emmanuel Macron said in a statement. The Dassaults successfully rebuffed attempts by French President Francois Mitterrand to nationalize the company in the 1980s. Similarly, Serge had to battle restructuring attempts by then-President Jacques Chirac in the mid-1990s. Dassault was born Serge Bloch in Paris on April 4, 1925. His father invented a type of propeller used by the French army during World War I. After starting his own eponymous aircraft manufacturer in 1936, Marcel was well-positioned to supply aircraft to the military after the outbreak of World War II. During the war, the Bloch family, which was of Jewish heritage, was arrested by the Gestapo and stripped of its property. In 1944, Marcel was deported to the Buchenwald concentration camp and held as a political hostage. He was released in April 1945 when the camp was liberated. After his release, he changed the family name to Dassault. Derived from the word for “assault” in French, it was also the alias used by Marcel’s brother, Gen. Paul Bloch, who fought in the French resistance. In 1950, Marcel converted to Catholicism. Serge joined the family business in 1951 after graduating from France’s prestigious engineering school, Ecole Polytechnique and the Institut Superieur de l’Aeronautique et de l’Espace. Even though Serge distinguished himself as a student, his father had no interest in sharing power. He distanced Serge by making him head of Dassault Electronique, a branch of the family business. Only after Marcel’s death in 1986, at the age of 94, did Serge take over as chief executive of Dassault Groupe. In March 2004, Dassault bought Le Groupe Figaro, publisher of one of France’s most widely-read newspapers. The company also owns the Paris-based auction house Artcurial and wine estates in Bordeaux. Serge’s fortune is worth $27.3 billion, making him the world’s 28th-wealthiest man, according to the Bloomberg Billionaires Index. Dassault also followed his father’s lead into politics, though Marcel, who twice served on France’s National Assembly, never campaigned and rarely attended Assembly sessions. A member of the conservative Union for a Popular Movement party, Serge was elected mayor of the Paris suburb of Corbeil-Essonne in 1995, finally ousting the town’s communist mayor after three failed attempts. In 2004, he became a UMP senator. A champion of conservative economic policies, he attacked the French tax system as punishing to entrepreneurs. Both his business and political careers were tainted by graft allegations. In 1998, a Belgian court gave him a two-year suspended prison sentence for bribing politicians to win defense contracts. In June 2009, he was stripped of his mayoral position when a civil court found him guilty of making cash payments to voters. In an interview with news website Lepoint.fr, Dassault called the ruling “scandalous” and politically motivated. Dassault was married to Nicole Raffel. They had three sons, Laurent, Thierry and Olivier, and a daughter, Marie-Helene.